Are Africanized Honey Bees in San Diego County? Africanized honey bees are here in San Diego County. The entire County, from the desert to the coast, is considered colonized by AHB. This means that you might encounter aggressive honey bees anywhere in San Diego County. Bees are most active in the spring and fall, so be especially careful during those times. With a few simple precautions, you can protect yourself and others. 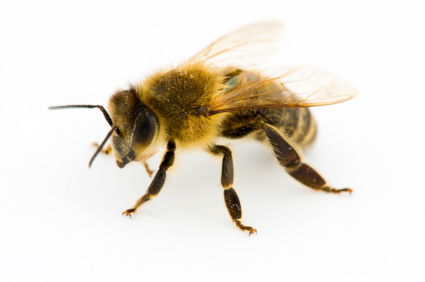 if you encounter these bees in your home or yard, call us immediately to remove them. Paper wasps are also commonly found in San Diego County. They are semi-social insects that are often found in small colonies. Wasps can also be very dangerous, so caution should be used when near a nest. Contact Achieve Pest Management to have professionals remove a nest. Yellow jackets nest in the ground or in cavernous areas such as caves, attics, etc. They feed on sweets and proteins and commonly invade outdoor activities. Yellow jackets can be found anyplace humans can be found such as near recycling bins or other areas where sugars are common; but keep in mind these pests also feed on protein. Yellow jackets become more aggressive in autumn when the colony begins to die out except for the queen.